on a private UpCountry estate. 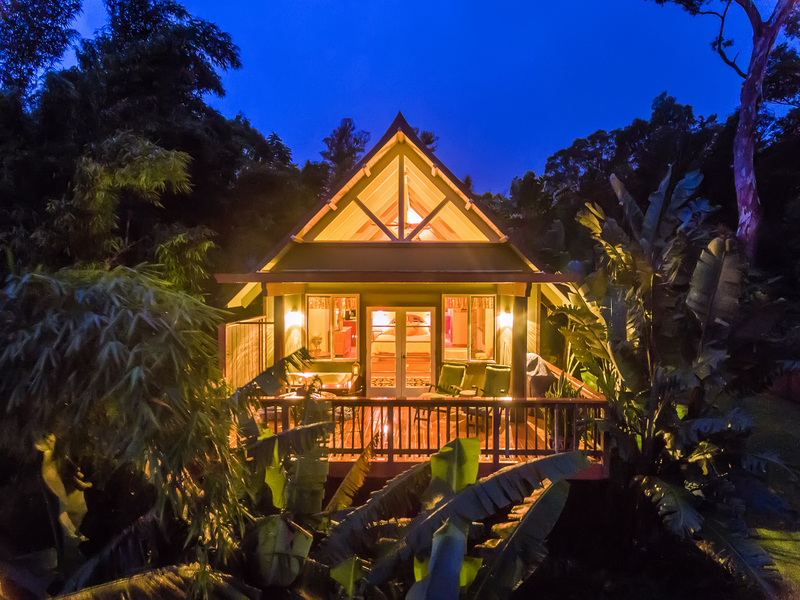 Tucked-away at the forest's edge on the gentle slopes of Haleakala, in an area known as "UpCountry Maui", sit two enchanted hideaways known as The Thai Tree House and The Aloha Cottage. 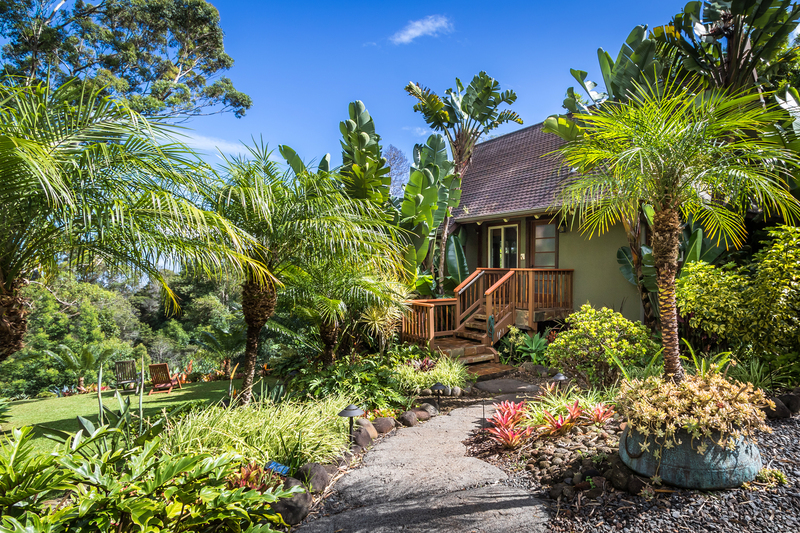 A guest once wrote, "If Maui is paradise, then a stay at Aloha Cottage is simply heaven on earth!" 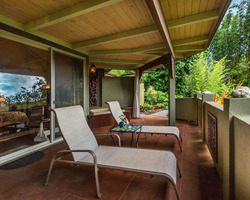 We like to say that our luxury cottages are certainly some of the more unique and comfortable vacation rental options found in Hawaii. We offer two, distinctly different cottages. The original cottage to the property, is the Thai Tree House and the latter addition bears the name of our vacation accommodation business, "The Aloha Cottage". 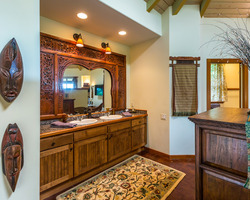 Although similar to bed and breakfast style lodgings, we are a luxury vacation rental experience. Our accommodations are far more private, spacious and offer many more amenities than most others. 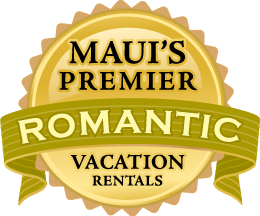 If you are seeking a romantic Maui getaway for a wedding, honeymoon, or a lover's retreat... our tropical vacation cottages are the places for you! 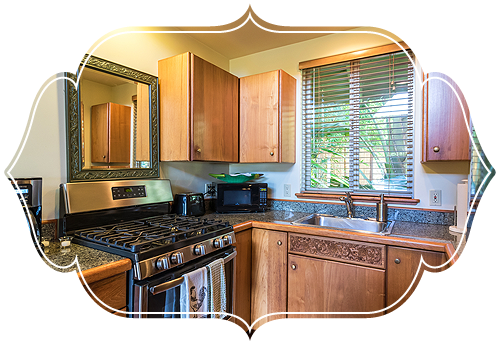 We are a luxury Maui vacation rental property that is located approximately 30 minutes from Kahului Airport and we are just a short leisurely drive from the historic towns of Makawao, Pukalani, Haiku, Kula and Pai‘a. 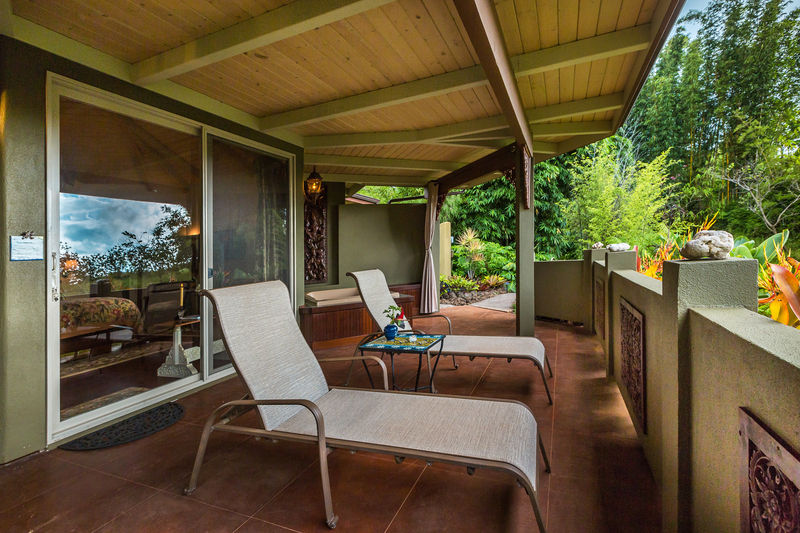 Our romantic accommodations will provide you with the ultimate Hawaiian vacation experience. Additionally, we are located away from all the hustle and bustle of the busy resort towns, which is why we can gaurantee you privacy, peace, quiet and a truly blissful stay! Nothing can compare to the build-quality, inspiring design and distinctive features of our cottages. They are exquisite in every way! 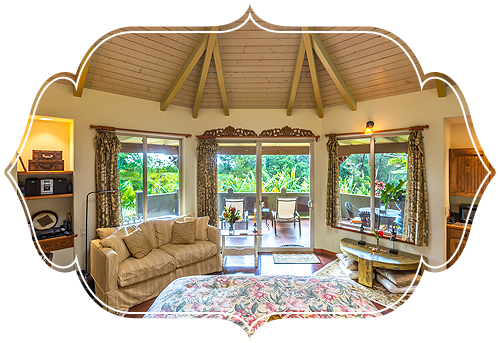 Each luxury vacation cottage is situated independently on the grounds of a five acre private country estate and nestled within the eucalyptus forests of Olinda. 448 sq. 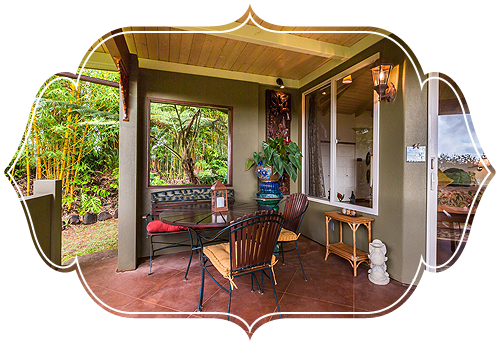 ft. private, covered lanai (deck) with 2 loungers, a cafe table & chairs, plus a 2 person soaking tub. 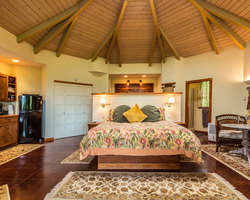 Exquisite accommodations in UpCountry, Maui. 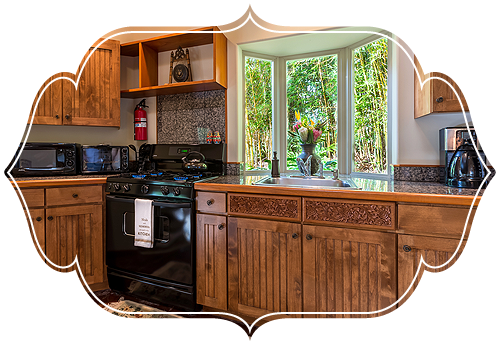 We offer two distinctly different cottage rentals; The Thai Tree House and The Aloha Cottage. 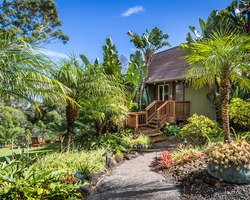 Both of these romantic maui vacation cottages, along with the main house, are situated on five pristine acres of a pastoral private upcountry, Maui estate. 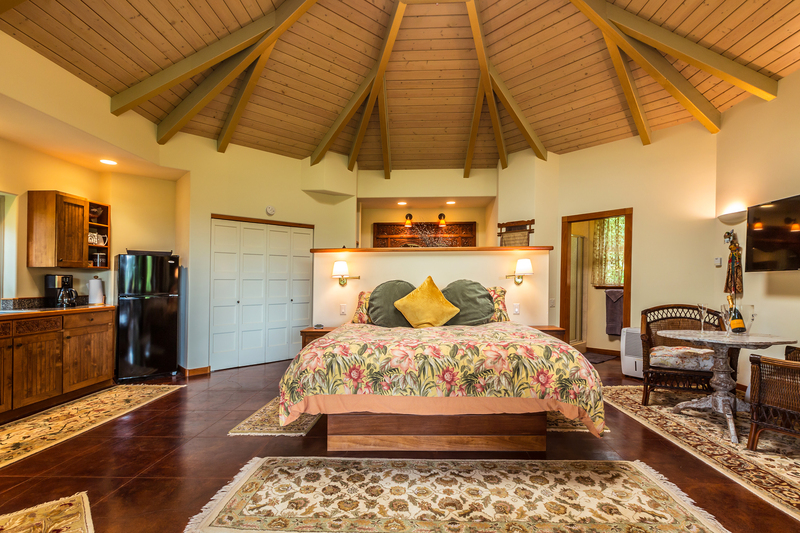 We strive to provide each of our guests with the finest vacation experience within Upcountry Maui and beyond. The Aloha Cottage is adorned with unique Balinese treasures and The Thai Tree House is uniquely decorated with marvelous items from Thailand. 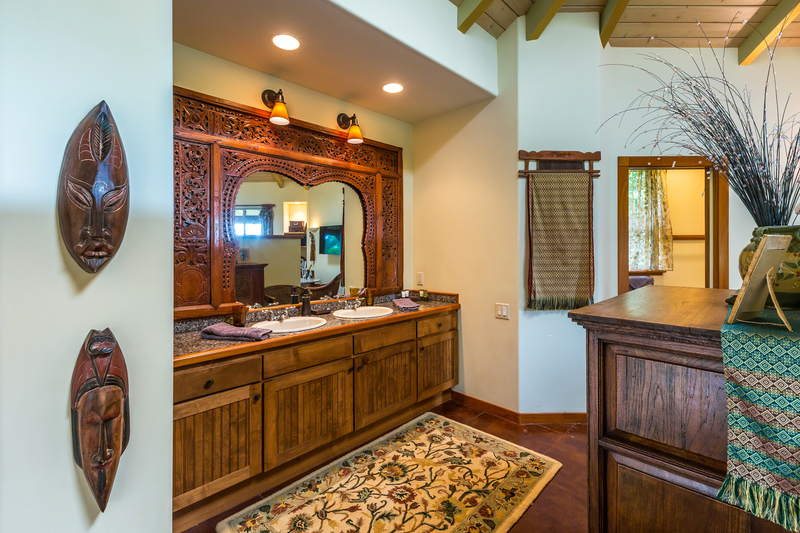 Each cottage was custom-built and designed around these two exotic themes while also maintaining an authentic Hawaiian feel to their settings. There's really nothing else like it on Maui. Privacy abounds with each cottage! The design and placement of these two cottages on the property were carefully planned so that would be ample distance away from each other and also that both cottages remain a good distance away from the main house. In fact each cottage is well over 120 yards away from any dwelling in an effort to provide you with an air of seclusion and independence. 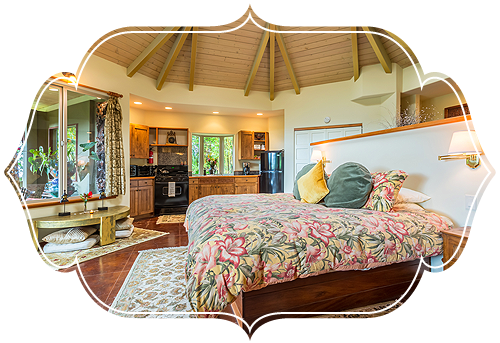 We created these two elegant guest cottages with comfort and luxury in mind so that you could experience a Maui vacation, with plenty of aloha, and enjoy the rest and relaxation you deserve. One our guests described it the best, "Their hospitality is bountiful and is also accomplished invisibly and seamlessly." 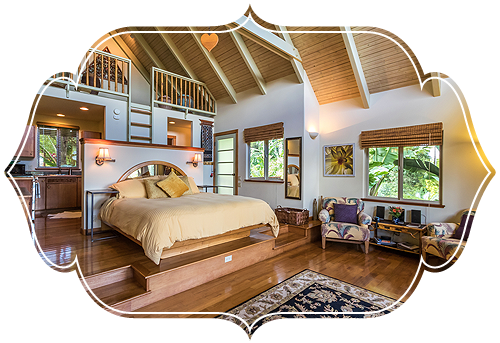 A lot of love, care and attention to detail has been invested to ensure that your stay at our romantic, vacation cottages is purely magical. 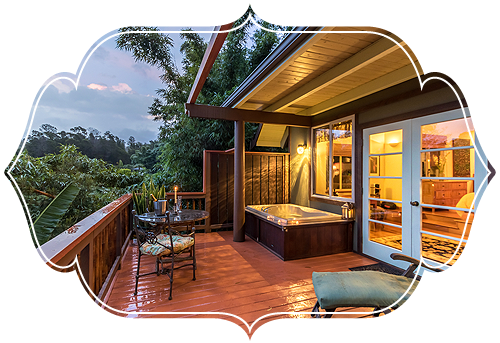 Our cottages have been featured in Conde Nast Traveler Magazine, National Geographic Adventure Magazine, The New York Times Sunday travel section, Organic Style Magazine & Best Places to Stay, Hawaii travel book. 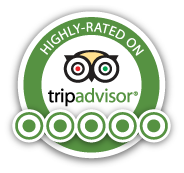 Additionally, we have been recommended by Fodor's and Frommer's printed travel guides as well as highly-rated on TripAdvisor. 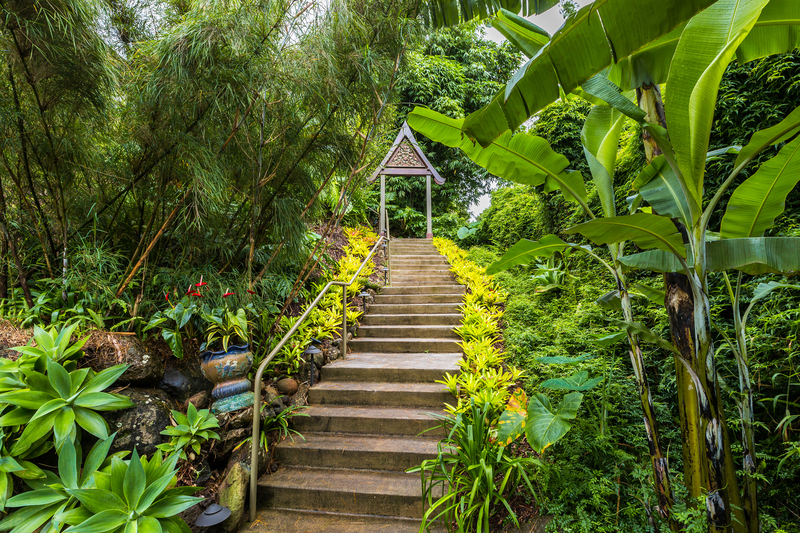 The area known as "Upcountry Maui" is special because it is so abundantly-lush and beautiful. It is rich in the aromas of fragrant tropical flowers and foliage and loaded with amazing panoramic island vistas. Fresh air abounds at these higher elevations and it feels very different from the dryer beach resort areas down at sea-level. On some mornings a gentle mountain mist rolls-in that helps keep everything green and vibrant in color. Magnificent rainbows and moonbows add a special touch to each day! Take one breath of the pure, crystal clean Upcountry Maui air and you will immediately feel refreshed and invigorated! 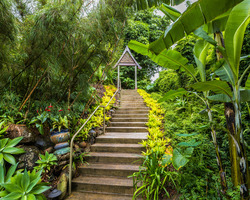 If you are going to say, "I've been to Maui", then be sure and set aside some of your vacation time, plan a stay with Aloha Cottage, and experience the diversity of Upcountry Maui. We are located near many of the best attractions, tours and activities that this special area has to offer! For reservations, our office is open daily from 8am to 5pm (Hawaiian Standard Time). 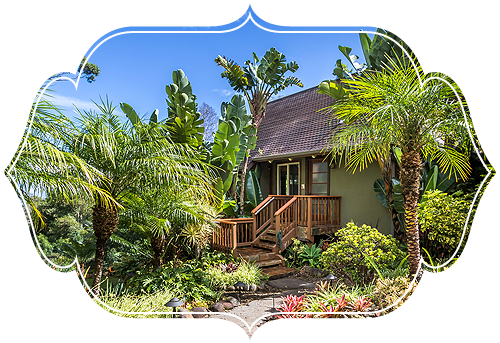 However for current guests of Aloha Cottage, we additionally provide a direct cell phone number for needs/emergencies that may arise after normal business hours. Please feel free to call us with any questions you may have or to inquire about our current availability schedule. We look forward to the opportunity of providing you with the finest and most exquisite accommodations on Maui. Please email us or call for proper directions as some GPS devices and other map sources have the Aloha Cottage location and our address listed incorrectly.